Dawn of the Clans Book 3 The First Battle. This is one awesome book cover my प्रिय out of the warriors :D. Wallpaper and background images in the Warriors (Novel Series) club tagged: warriors warrior clan. You know what book I can't wait for. I know I cant wait to read it! Looks like a good one! 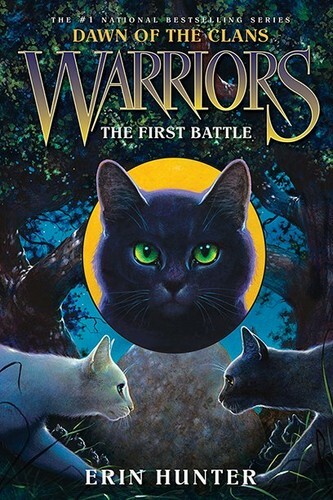 The way the cats are facing off reminds me of the Dangerous Path title page. OH MY GOSH! I can't wait for this book to come out. has the second book come out i can't find it!! !